Thank you for your interest in Acupuncture Denver! To better serve you, we have put together this introduction to our clinic to answer commonly asked questions. Feel free to give us a call at 303.929.9582 if we can answer in more questions, or if you'd like to book an appointment. Our warm, tranquil environment puts clients at ease even when they are facing trying health issues and the heartbreak of fertility challenges. Patients are greeted by a friendly face, a hot cup of tea and soothing music. Our large lending library provides our patients with numerous books on topics ranging from acupuncture and TCM to other complementary healing modalities, to pregnancy and fertility- specific books. These books are available in the waiting room and may also be checked out free of charge. 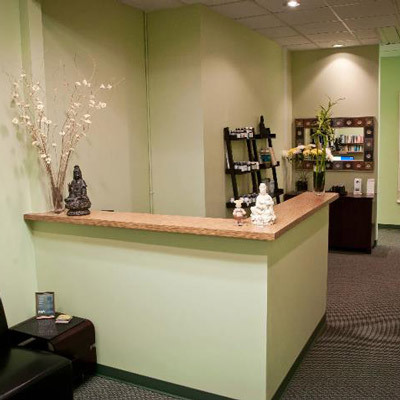 In addition to acupuncture and TCM, we also have a fabulous massage therapist on staff! Our clinic specializes in fertility enhancement and women’s health. We have assisted in helping countless women become pregnant and deliver healthy babies both naturally and in conjunction with Western fertility treatments. Our practitioners are board certified, licensed acupuncturists with advanced training in Oriental reproductive medicine. We are the only Fertile Soul Affiliate clinic in Colorado and are trained in Randine Lewis’ Fertile Soul Method. Jane Gregorie, Merry Reasons, and Mally Shaw are all certified as Fellows of the American Board of Oriental Reproductive Medicine (www.aborm.org). They have all completed advanced training and passed a rigorous examination to achieve the certification. Our holistic approach also integrates other complementary modalities including self-care practices, Chinese herbs, supplements, breath work, meditation, dietary therapy, and a free monthly fertility support group. We also see patients for a variety of other conditions including other women’s health issues (painful periods, menopausal syndrome, PCOS, endometriosis), acute and chronic pain management, mood issues, fatigue, and insomnia. Most patients see us on a weekly (or twice weekly) basis, but it depends on your particular situation and diagnosis. Our practitioners will make a recommendation after your initial consultation. In order to improve egg quality, we generally recommend 3 months of treatment (based on the cycle of folliculogenesis which takes 90-150 days). See below for more info on fertility treatments. Do you prescribe Chinese herbs? We often recommend custom herbal formulas for patients depending on their diagnosis. We carry freeze-dried herbal granules that are combined for you on the premises. All of our products are GMP certified and tested for purity and chemical composition. The exact combination of herbs can be adjusted to suit your individual condition, and is likely to be altered as the treatment progresses to take account of changes that have occurred. We reserve this time just for you and have a strictly upheld 24-hour cancellation policy for follow-up visits and a 48-hour cancellation policy for new patient visits. Kindly give us sufficient notice if you need to change or cancel your appointment, or your credit card (which is required when booking an initial appointment with us) will be immediately charged for the full price of the treatment as per our policy. We keep all credit card numbers on file where they are safely encrypted within our Quickbooks software. We keep an active wait list due to our busy schedule, so we appreciate your understanding and respect for our time. Because we work on a 30-minute schedule, if you are more than 15 minutes late for your scheduled appointment, we will consider it a no-show and you will be charged for that appointment time. If you are up to 15 minutes late, we will shorten your appointment by that much time so as not to inconvenience our subsequent clients and throw off our schedule for the day. We will also accommodate you if we are running late based on our own tardiness. Payment is due at the time of service, and packages must be paid for in their entirety at the time of purchase. We are NOT in-network providers for any insurance companies; however, if your insurance covers acupuncture, we are happy to provide you with a superbill (a document listing required diagnostic and treatment codes) for personal reimbursement. In this case, payment is required at the time of service and your insurance company will reimburse you directly for all or part of covered services. Payment: We accept all major credit cards, HSA debit cards, cash and checks. How far in advance do I need to have acupuncture prior to trying to get pregnant? Acupuncture and Chinese medicine provide the best results (in terms of egg quality) when administered for at least 3 months prior to trying to conceive. Western medical science has documented that eggs are recruited about 90-150 days before ovulation in a process called folliculogenesis. During the three-month pre-conception period, acupuncture, herbs, supplements, dietary therapy and lifestyle modifications can significantly improve cellular health and enhance egg quality. While it’s not absolutely necessary to wait to conceive (and many of our patients get pregnant before the three months of treatment), our clinical experience shows that this getting treatments consistently treatment for at least 8-12 weeks yields the best results, especially in cases of diminished ovarian reserve, advanced maternal age, or recurrent pregnancy loss. I am undergoing IUI/IVF treatments. What are the suggested acupuncture protocols? We work closely with several reproductive endocrinologists in the area and are trusted by many as the go-to clinic for complementary fertility support. We recommend starting treatments at least three months prior to IVF retrieval for the best results in terms of improving egg quality (see above). For IUI, most patients come in weekly including one treatment as close as possible to their IUI (e.g., on cycle day 11-14 for a day 14 IUI). For IVF, weekly treatment for 8-12 weeks is ideal followed by 2x weekly treatments in the 4 weeks leading up to egg retrieval. If you don’t have three months of time to prepare for IVF, getting regular treatments (1- 2x weekly) at any point in the process will improve hormonal response, blood flow to the uterus, and uterine receptivity. Before a frozen embryo transfer, we recommend 2x weekly for 2-3 weeks unless your Doppler ultrasound of uterine arteries shows hypertension (lack of adequate blood flow to the uterus) in which case 2x weekly for 4 weeks is recommended prior to transfer. We have used these protocols with great success for many years and they are part of our evidence- based approach to fertility treatment. Treatment is also recommended on the day of transfer (many fertility clinics have acupuncturists available on-site for pre/post transfer acupuncture treatments and our practitioners can go on-site at some locations). Patients can continue treatments again starting at least one week after the transfer to promote a healthy pregnancy or start back once pregnancy is confirmed. Is it safe to continue acupuncture if I get pregnant? Acupuncture is completely safe in pregnancy as long as you are working with a practitioner who specializes in women’s health and has additional training in reproductive medicine. Acupuncture can ease morning sickness, relieve back pain, increase energy levels, and decrease depression and anxiety in pregnancy. We usually recommend weekly or twice monthly treatments in the first trimester, monthly in the second trimester and then weekly treatments for the last four weeks of pregnancy for labor preparation. The initial consultation is 90 minutes long and includes a detailed health history review with the practitioner and a gentle acupuncture treatment. The treatment involves resting for 30 minutes with the needles in place while listening to soft music or guided meditations. This visit is followed up with a comprehensive treatment plan that includes dietary therapy, supplements, herbs, as well as self-care and lifestyle recommendations. We will email this treatment plan 24-48 hours after your visit. In some cases, we will see new patients as follow-up patients (1 hour treatment) if an extensive history and intake is not required. We frequently do this for out-of-town IVF patients, acute pain patients and those just prepping for an frozen embryo transfer. Follow up visits are 1 hour in length (checking in with practitioner for first 30 minutes and resting with needles for second 30 minutes). To book your initial visit, please call us at 303.929.9582 or send us an email.